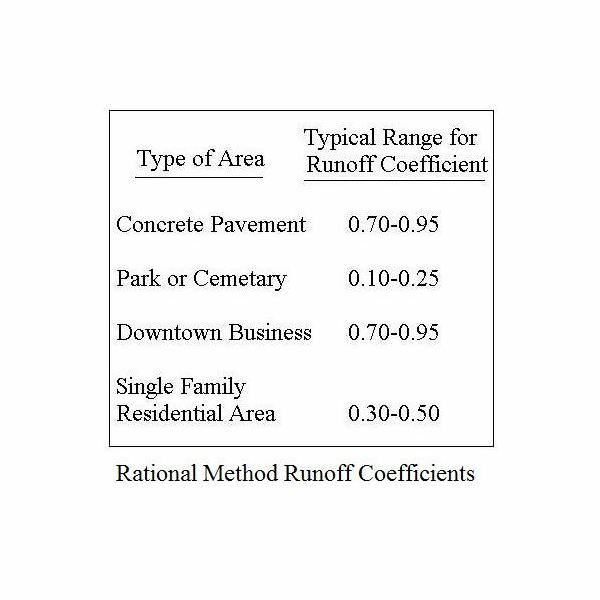 The design rainfall intensity in inches/hour is one of the parameters needed to calculate peak runoff rate for design of a variety of stormwater management structures, such as storm sewers, stormwater inlets, and stormwater detention structures, using the Rational Method. This article describes how to obtain a value for design rainfall intensity. The design rainfall intensity is the intensity of a constant intensity design storm having the specified design return period and duration equal to the time of concentration for the drainage area. Once values for design return period and duration are available, the design rainfall intensity can be determined from an appropriate intensity-duration-frequency graph or equation for the drainage area location. Each of the terms in bold will be explained briefly in the following sections to hopefully clarify the overall process. A constant intensity design storm is typically used with the Rational Method because short duration storms are appropriate for the relatively small drainage areas modeled with the Rational Method, and the effect of a short duration storm can be represented well as a storm of approximately constant intensity. The return period for a hydrological event of specified magnitude at a given location is the average length of time between occurrences of that hydrological event at the specified magnitude or greater at that location. Thus, if the design return period for a length of storm sewer is 25 years, then the stormwater flow should back up into the manhole because the pipe capacity has been exceeded only once every 25 years on the average. 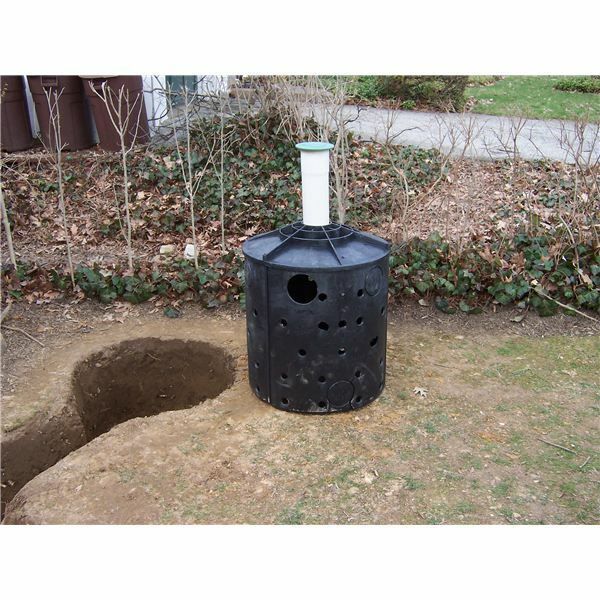 The design return period for stormwater management structures is typically specified by a state or local agency. The time of concentration for the drainage area should be used as the duration for the design storm. The time of concentration of a drainage area is the time required for runoff from the farthest part of the drainage area to reach the outlet. Why, you may ask, is the time of concentration the right duration to use for the design storm? Keeping in mind that we want the peak runoff rate for the specified design return period (e.g. 25 years), we note that for any storm of duration less than the time of concentration, the entire drainage area will never be contributing to the runoff from the outlet all at the same time. On the other hand, for a specified return period, a longer duration storm will be less intense than a shorter duration storm. As a result, for a storm duration longer than the time of concentration, the storm intensity will be less and the runoff rate from the entire drainage area will be less than that of a storm with duration equal to the time of concentration. Thus a storm of the specified return period, and of duration equal to the time of concentration of the drainage area, will give the maximum ru Tnoff rate from that drainage area in comparison with any other storm having the specified return period. The article, "Excel Spreadsheet Templates for Calculating Watershed Time of Concentration," has more information about watershed time of concentration and methods for calculating it for a given watershed. Also Excel spreadsheets can be downloaded to calculate the time of concentration using the methods discussed in the article. Storm intensity, duration, and frequency (return period) are interrelated for a given location. The figure at the left shows an example of an I-D-F graph for northwest Illinois from Illinois State Water Survey Bulletin 70. In general, shorter duration storms will be of greater intensity for a given return period. There are graphs and equations I-D-F relationships for different parts of the country. Many are available in state agency publications and on state agency websites. 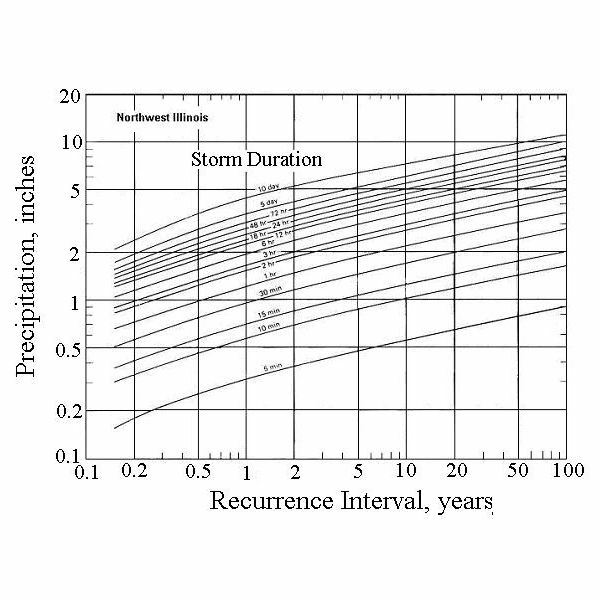 Once the design storm duration and return period are determined, then the design storm intensity should be obtainable from an appropriate graph or equation. One of the uses for design storm intensity values is in stormwater sewer design. 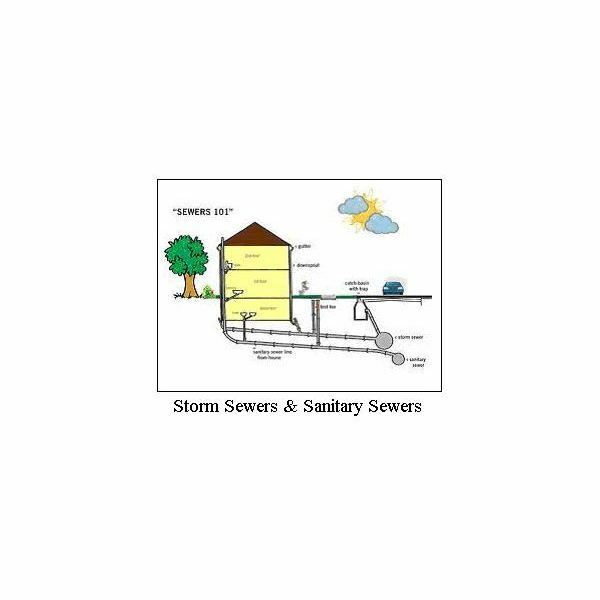 The other articles in this series present information about different aspects of storm sewer design. 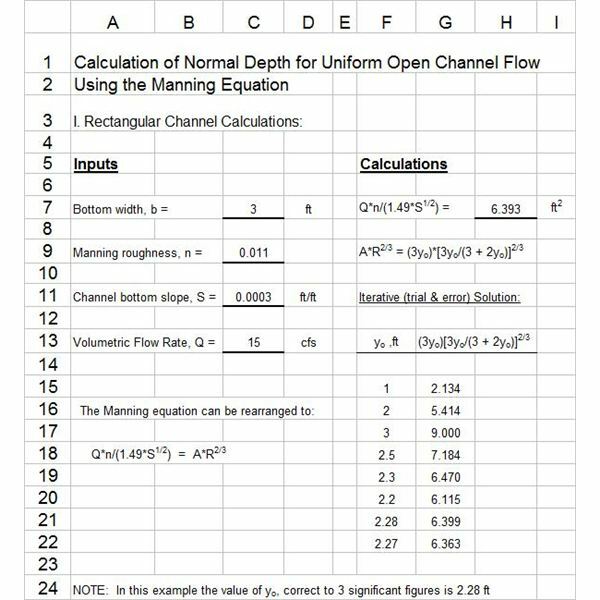 For an article with a downloadable Excel spreadsheet template for making storm sewer design calculations including rational method calculations, and derivation of an equation for storm intensity vs storm duration, see "Stormwater Sewer Design using Excel Formulas in a Spreadsheet Template." 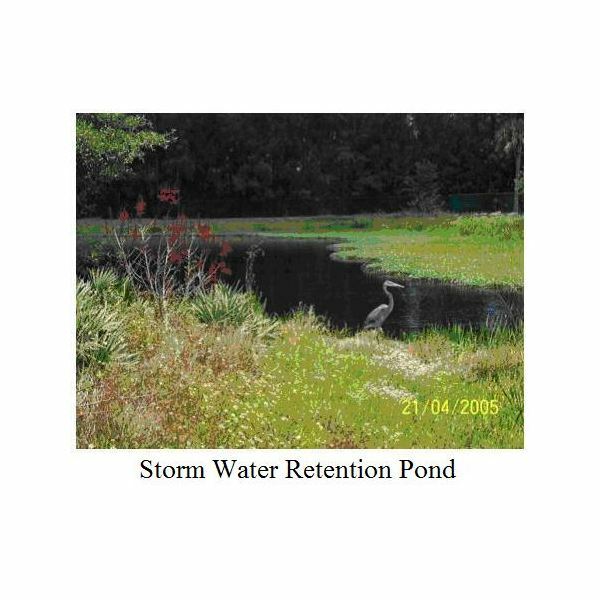 The Rational Method is widely used to calculate the peak storm water runoff rate for a variety of storm water management applications. 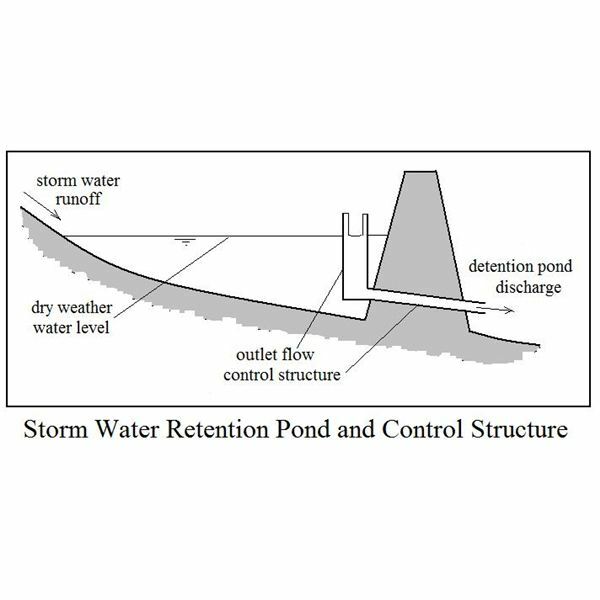 The drainage area, runoff coefficient, and design rainfall intensity are needed for the storm water runoff calculation.